The following guest post was written by Monika Wykurz of Rocaille Writes. You can also find Monika on Twitter and Instagram. 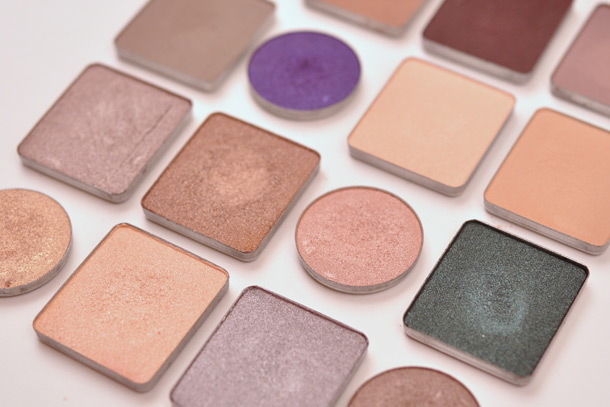 When Karen asked me to write about one of my holy grail products, I went straight to my Inglot Freedom System Eyeshadows ($6 each), not only because they are some of the best powder eyeshadows I’ve ever had the pleasure of working with, but also because I have a personal connection to the brand. Being Polish, I’ve known and loved Inglot products since long before they hit the US market. In fact I used their shadows for my high school prom makeup when I still lived in Warsaw. 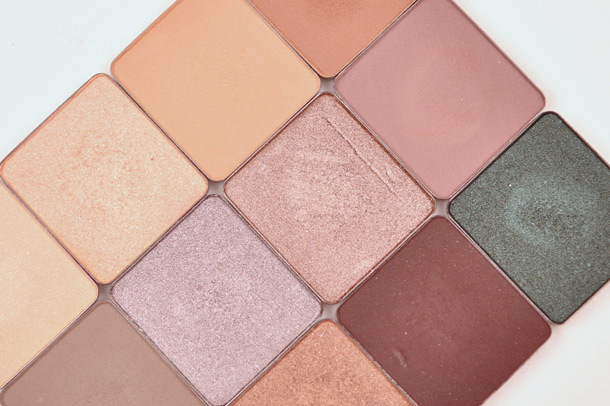 The Inglot Freedom System Eyeshadows are buttery smooth, creamy, pigmented, long-lasting powder eyeshadows that come in a huge variety of shades and finishes, and they retail for $6 each. You can mix and match the shades as you please and have them arranged in a palette (different sizes available), or you can purchase your pans separately and store them however you like. I tend to keep mine in a large Z-Palette. Choosing my favorite shades is a bit like choosing a favorite child, but I wanted to give you a couple of suggestions if you’ve never tried these before. I have three favorite finishes I stick to — Matte, Pearl and Shine. The Pearl finishes have a smooth, metallic finish (similar to MAC Veluxe Pearl), while the Shines tend to be more satin with a lot of shimmer. If you like neutral warm tones, you can’t go wrong with no. 112, 337 and 402. If you love taupes and purples, my favorites are no. 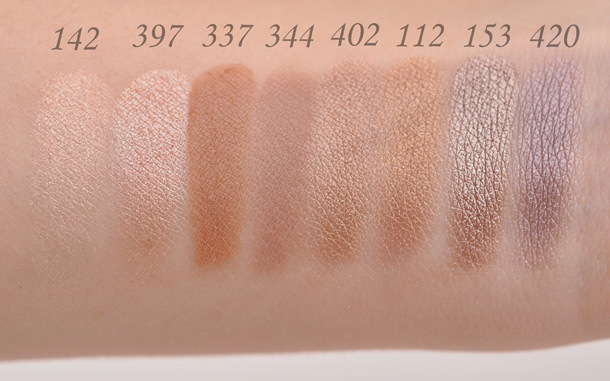 153, 344 and 420; and for highlighting the inner corners or as an all-over light wash of color, no. 142 and 397 are simply stunning. In this neutral look with cool tones, I used no. 397 in the tear duct area, no. 420 all over the lid, blended into the crease with no. 344, and I deepened the outer corner with a matte grey no. 348. For the warm look with a pop of green, I applied no. 112 over the base of Maybelline Color Tattoo in Bad to the Bronze, blended it out with no. 337 and highlighted the inner corner with no. 142. On the lower lashline, I’m wearing no. 414 in the outer corner, blended inwards with no. 112 again. If you’re looking for some new shades to add to your eyeshadow collection, definitely check out the Inglot Freedom System. Their products are available online at inglotusa.com, at a few free-standing stores throughout the US, as well as at select Macy’s. Let me know what your favorite Inglot shades are in the comments! Next Post: Do You Mostly Stick to One Brand of Makeup, a Few Brands or Many? 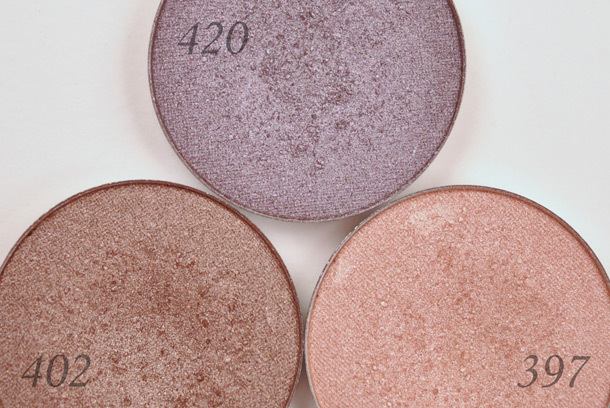 I’ve never tried inglot, but I have to say I love the 420 swatch. hanna recently posted … How Many Strikes are in a Relationship? I’m fan of Inglot to start love eyeliner cream them, and then custom palettes? perfect. Stumbled uopn this brand in Dubai. I swear I spent 3 hours in there and left with 6 eyeshadows. The next month I ordered 4 lippies. I love the colors and the FREEDOM! I love Inglot freedom system eye shadows! Awesome quality at an affordable price! Inglot eyeshadows are really amazing. They are very pro friendly ad they are inexpensive, superior in quality and come in a lot of vibrant ad well as wearable colors and textures. Though they are not marketed very well they manage to compete with mainstream brands like Mac and even win. That’s true, they could definitely amp up their marketing and work some more on their website as well… Navigating all those shades is not easy! I ordered my first Inglot 10-shade palette a couple of months ago. Had a bit of hassle getting it in this weird little corner of Europe too! But it was so worth it. My favourite shade is 421, a coppery brown. It has a beautifully smooth pearl finish, dark enough for the crease and coppery enough to emphasise my blue eyes like whoa. For extra oomph, I’ll also wear it along lower lash line. And 420 makes my eyes look kind of soft and pretty, but also defined. It’s difficult to describe, but it’s a way more versatile shade than I’d have expected when I bought it on a whim. Eva, that’s a good problem to have, hahah! 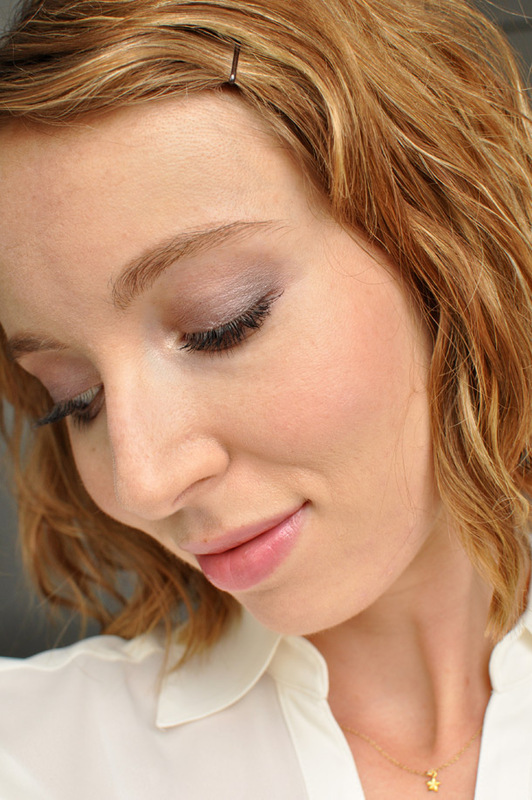 I haven’t tried very many coppery shades from them, I prefer the more taupey ones for my brown eyes, but I’ll check out your recommendation for sure! I REALLY need to try Inglot, especially bc I want good matte eye shadows. 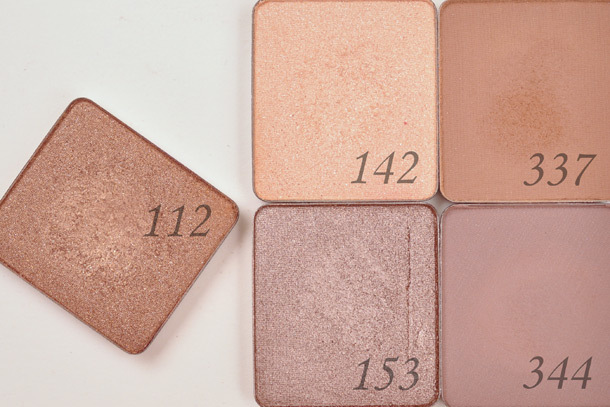 I will make sure to add these to my Inglot want-list. Thanks for the recommendations! Not yet tried Inglot!! Pretty shades! I’ve never tried Inglot, but I sure would love to. These look fantastic and I really enjoy the way you set up the product shots. Czesc Monika, as a fellow Polish born and raised girl I feel your sentiment for Inglot. Their products were one of the first ones I ever bought and I love to see them expand to other countries. In 2 weeks I will be in Chicago and the Water Tower Place Macy’s has a big Inglot counter, cannot wait to shop there and pick up a few new eyeshadows. Czesc Agatko! So glad to see another Polish lady here! Man, I wish we had a big Inglot counter here in the Seattle area, I believe there’s a small one at Macy’s in Southcenter – I should definitely visit! Oh, I love my Inglot products! My biggest fave must be the eyeshadows, which I have about 70 of, but I also adore the lippies and blushes. Pearl 423 must be one of the most beautiful shadows I own, I definitely recommend it! I’ll try that next time, thank you so much for your recommendation! I’ve not tried Inglot, but am now wanting to! Inglot is amazing! I have the fortune of having a friend in New York send me 3 colors. Seriously love the formulations!